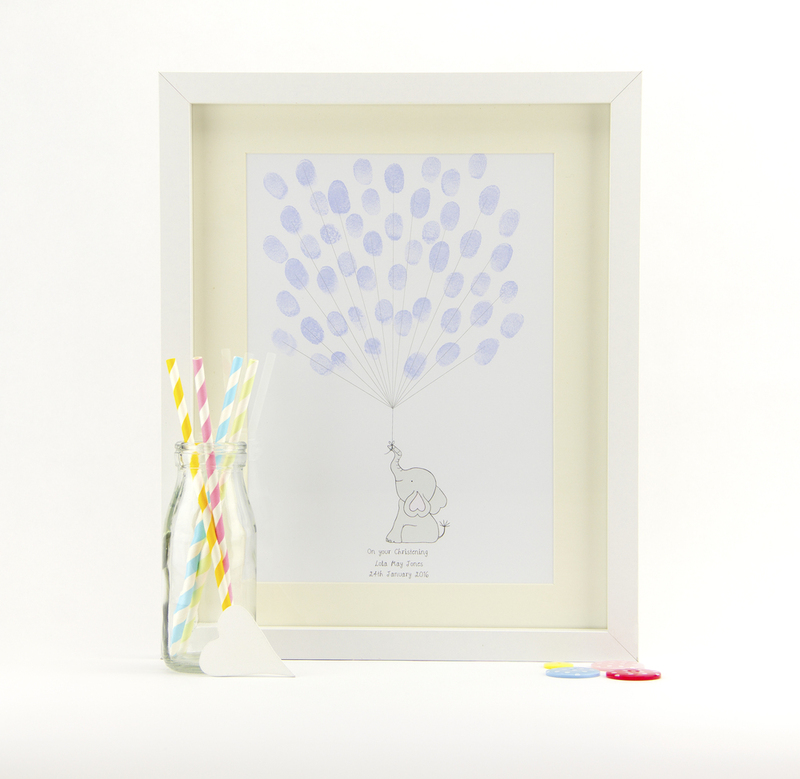 Perfect for Christenings, baby showers and any other celebratory occasion the fingerprint guest book keepsake is a truly special way for your guests to be remembered. Originally hand drawn, custom made to order print. Includes 1x ink pad in either. 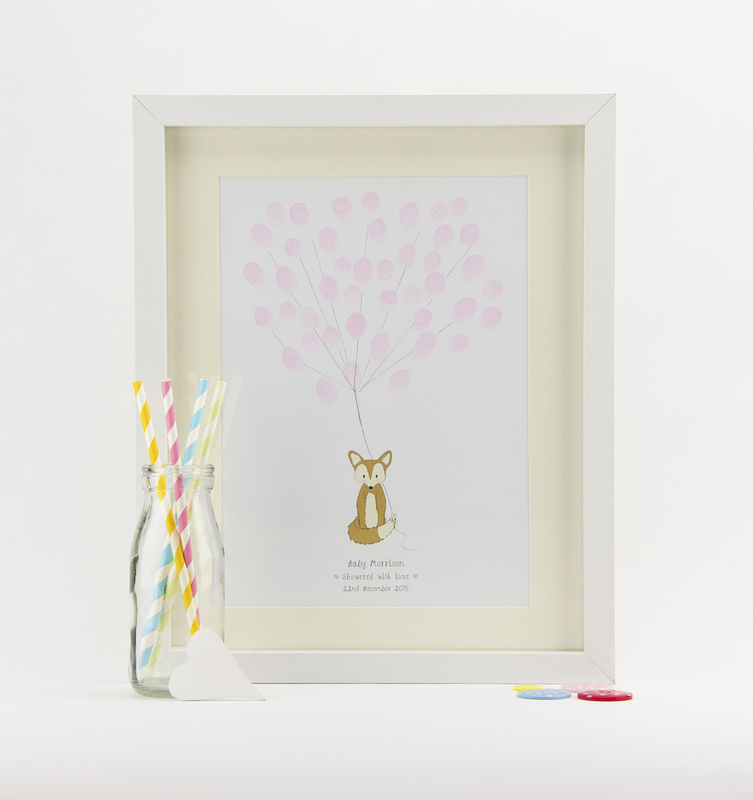 Colours available — Petal pink, soft grey, baby blue & circus brights. Produced on high quality white card. 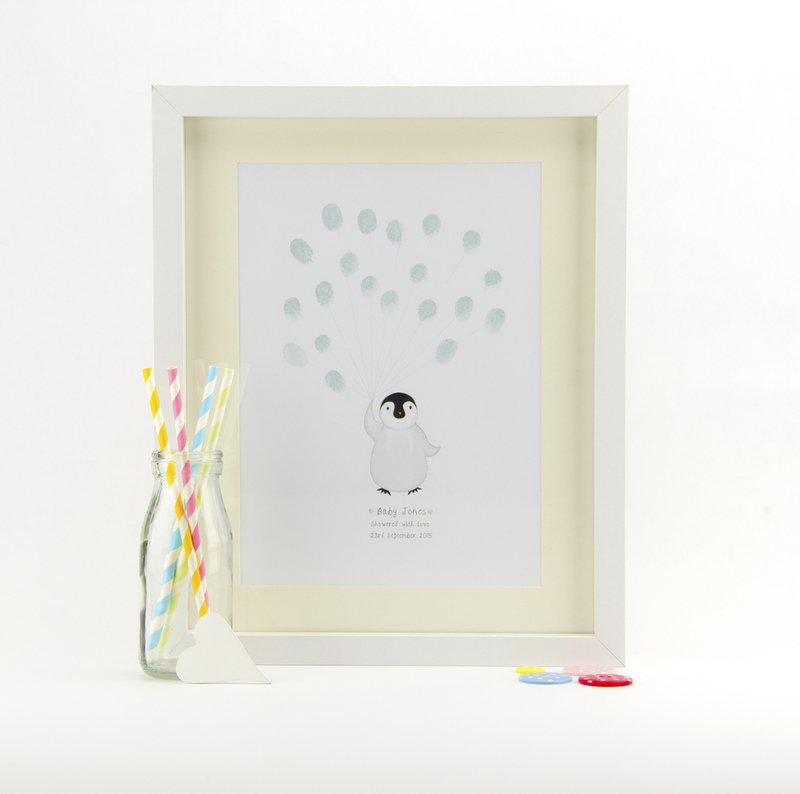 Personalise your print with your own text.